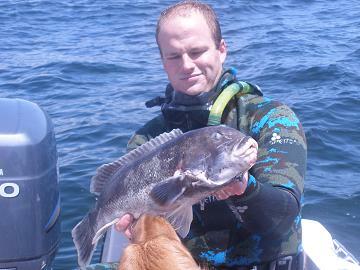 This is me on 7/13 with a 7# tog I shot in RI on a rock pile my friend and I found. We have been consistently taking fish between 5 and 7#, and even a few scup and a triggerfish for me on 7/4 from this location. All taken with the noreaster you made me! Take care, talk to you soon!